When I saw Oilo's Design Challenge I jumped at the excuse to grab things I've wanted to give Aden's room some personality. 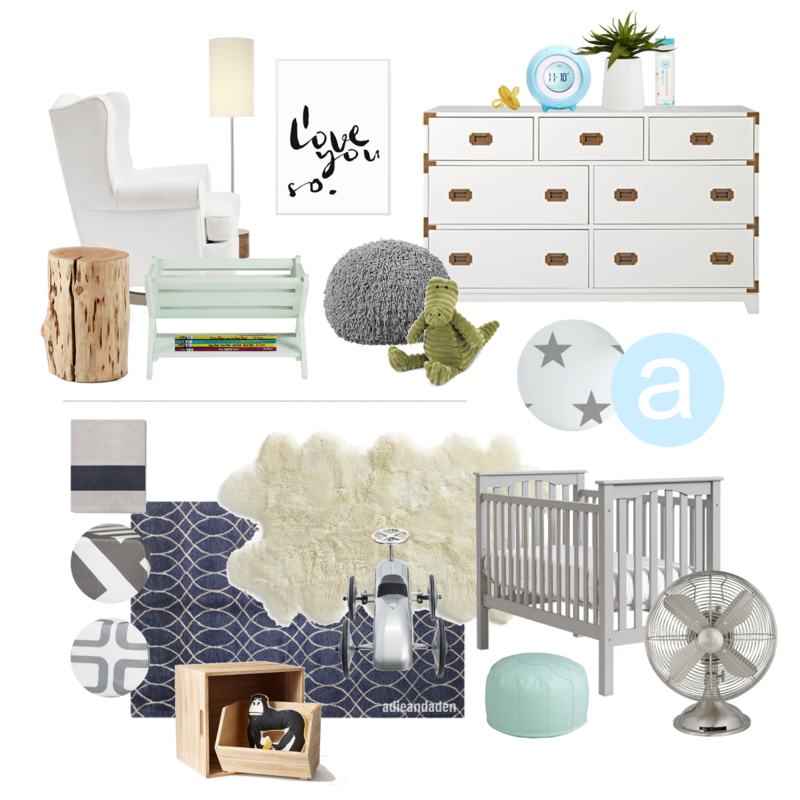 The challenge was to create a design board using our favorite Oilo products and other products we love. 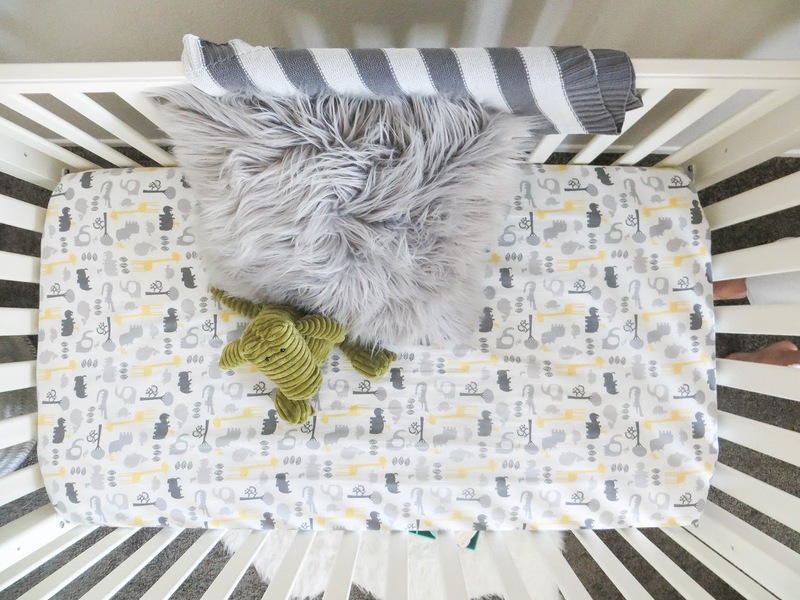 Let's just start by saying I am obsessed with their crib sheets and am dying over this bumper. 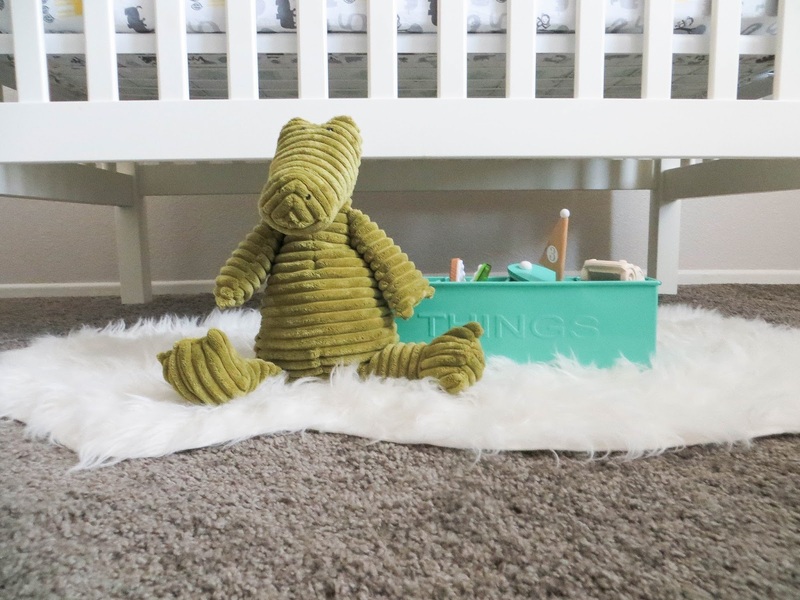 What his nursery needs is some color! I love the idea of aqua/teal blue and dark grey! 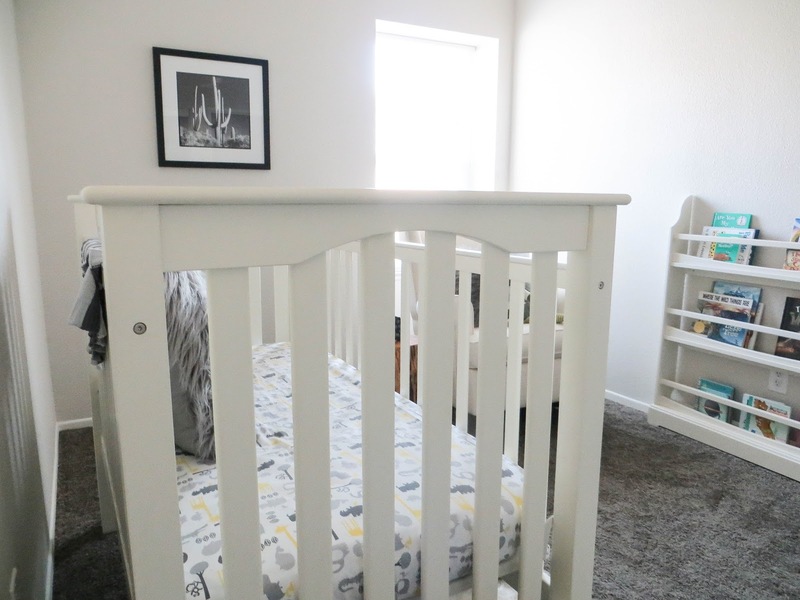 Black and white prints with some shelving would complete the wall behind his crib! A splash of that aqua/teal blue on the window wall and create a reading nook would literally be my favorite! My style is more eclectic but stick to the colors I've picked. 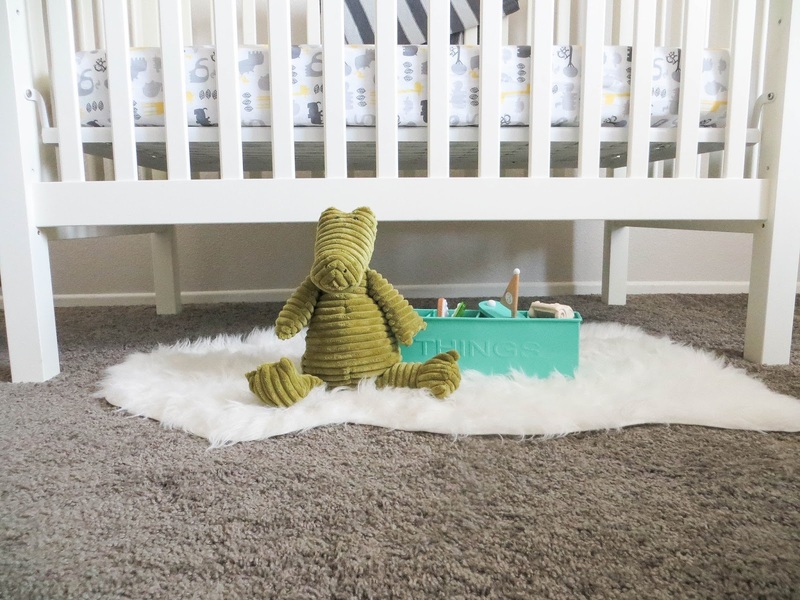 I want a space that will easily transition into a toddler room (I am already kicking myself for typing that) he's growing up way too fast! I mean he already has SIX teeth and wants to climb on everything! So excited for his birthday, you can see the theme Adie picked out for his party here! 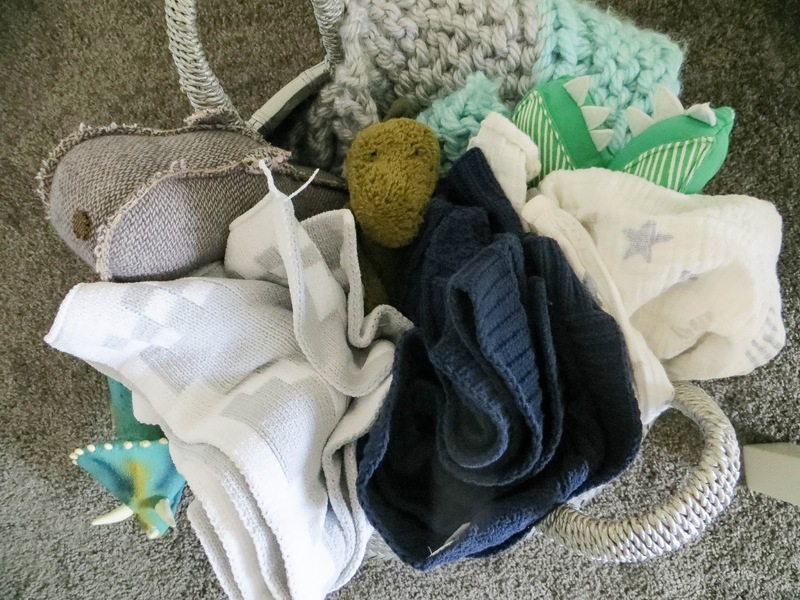 So stinking cute and perfect for our little guy! 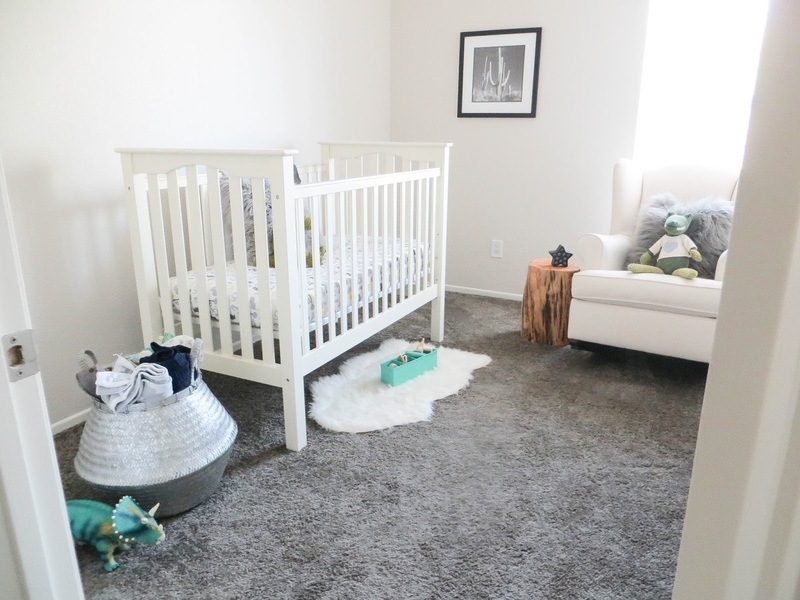 We already have a few major items in his nursery so it wouldn't take much to complete his style and make it a fun place to read, play and take naps. 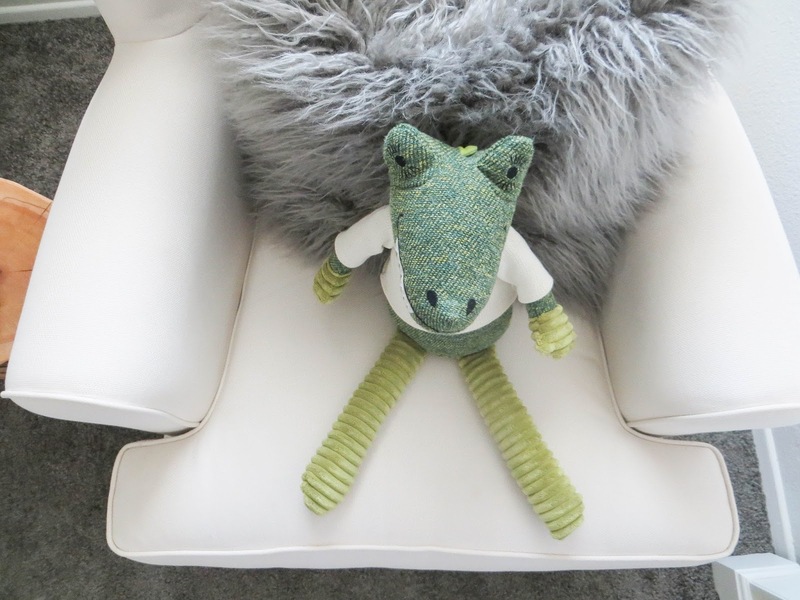 One of my favorite seats in the house is his rocking chair. I literally want to fall asleep when I get my two am wake-up call and am feeding him listening to our favorite lullaby. I have had my eye on the book caddy for forever!!! Their new spring collections it comes in mint and am even more in love! 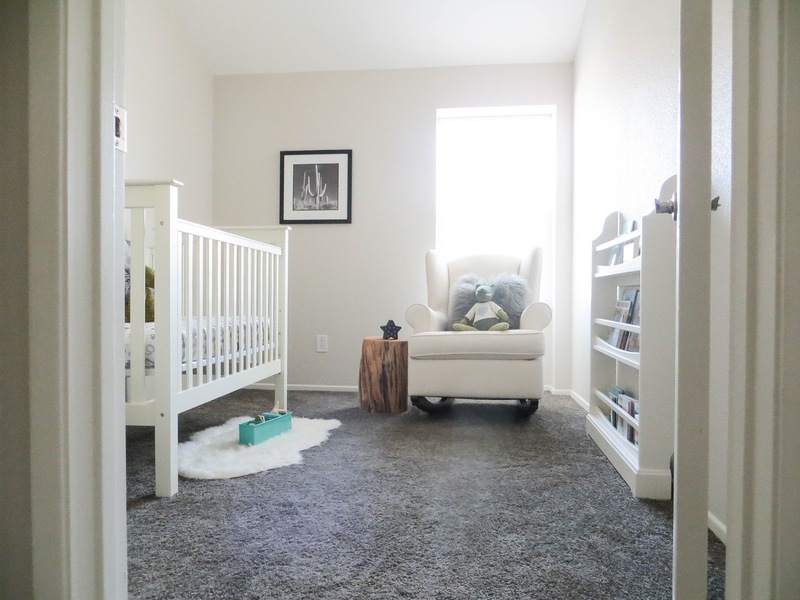 I love the idea of a floor lamp especially since Adie's lamp has hit the floor a number of times, so it would work out perfect next to the rocking chair. 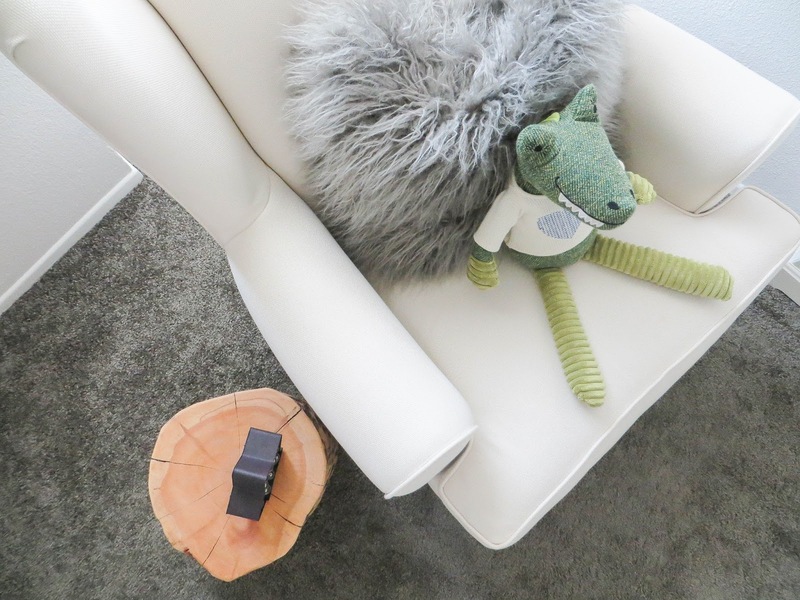 Every single room in our house needs two or three poufs and I love that you can mix and match colors and textures! 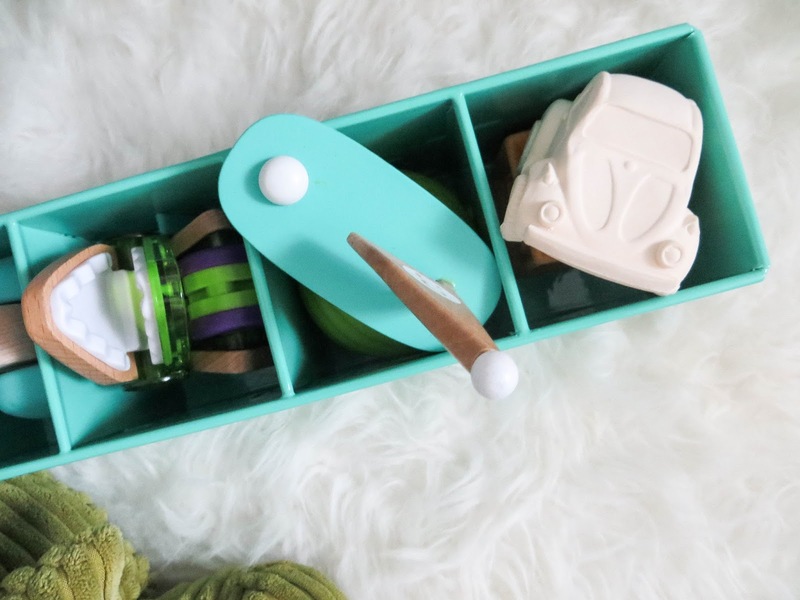 Aden's nursery does need a dresser and I love love love this one I found at Land of Nod. Simple but still has some character and keeping the items on top simple is ideal to keep the space open and full of light. Which is one of my favorite things in his room ... the lighting is amazing! I never thought about putting decals on the wall but love the idea of the stars and an a near the reading nook. 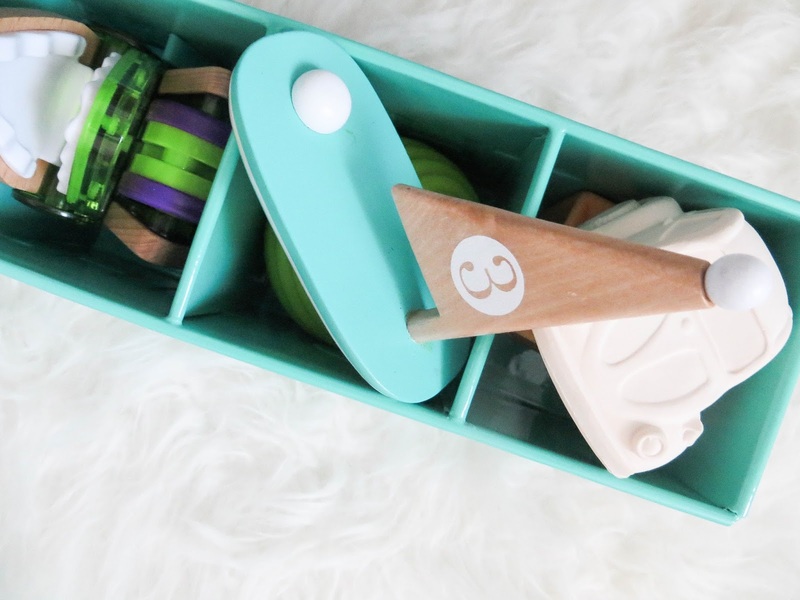 And not to mention how cute it works with the colors! If I had my way right now and all the money I would do wood floors every where ... and fill the house with rugs and super soft comfy rugs too! Layered rugs too are a way to create individual spaces and still bring color into the room! 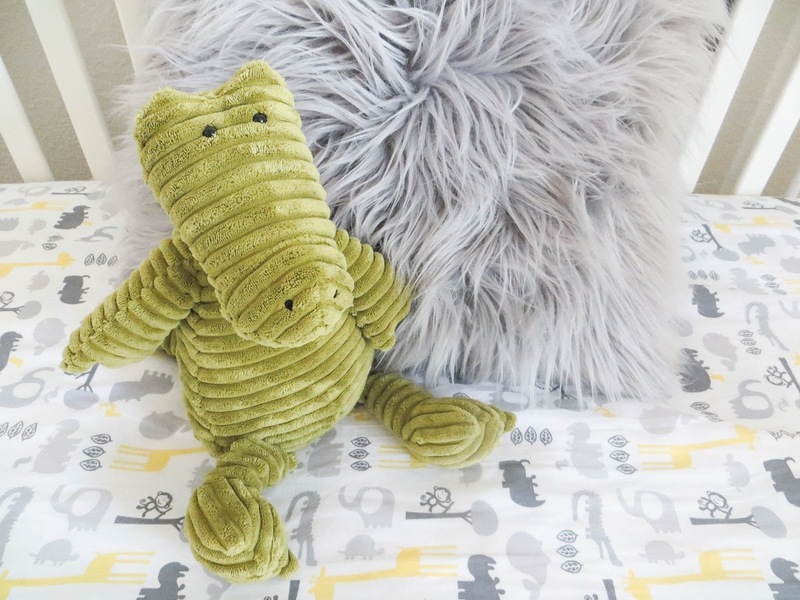 I love finding new and fun sheets for Aden and Adie too and Oilo does not disappoint. Loving the grey and even Eric picked out a favorite. 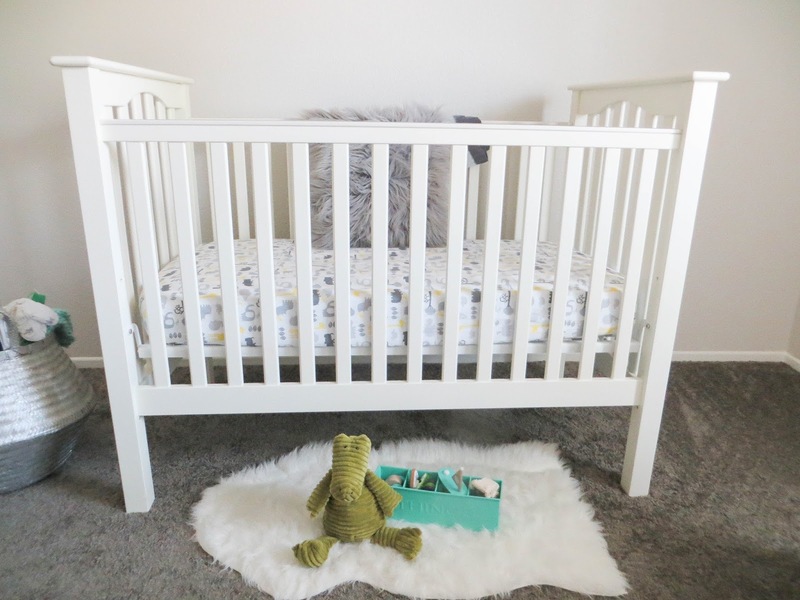 Pottery Barn Kids' cribs are amazing and ours still looks like new with baby two! And have you guys seen Target's Pillowfort collection (you can see it here) and those wooden crates are perfect for closet organization. I need three of them, one for toys, blankets and hats/bow-ties! Cute, right?! I have been trying to decide on what Aden's main gift is for his birthday and that car is to die for but I am thinking maybe Christmas so he'll be a little bigger. Another pouf, um yes! he is so into climbing right now and those are the perfect height for him and later down the when he gets bigger they'll make the best little seats. Having the kids rooms upstairs it's always HOT! So that vintage style fan is perfect and even if it didn't work it'll still be the cutest decor in his room! You could even have a DIY project and paint it that aqua/teal blue color! :) Nothing like creating a space that you and your little people want to spend time in. Happy Shopping! Hope you guys have a fun weekend! I am hoping all of the nose wipes, medicine and orange juice make my two little people better in the morning because we have Eric's birthday to celebrate! XO!